We are a hardworking financial planning team that offers first-class financial management to families and businesses in the North State. Our passion is partnering with our clients to help them plan for the future, invest with confidence, and achieve the financial future they envision. Our job is to take the anxiety out of managing money and bring predictability to the unknown - allowing our clients to focus on their families, businesses, and personal passions. The Dutro and Russell Group takes a unique approach that is different from most financial advisors. Our loyalty is to our clients first, and our pledge is to put your individual goals and needs above all else. Our service model is built on clear communication, expertise, and trust. We believe our clients deserve first-class service that fits their unique priorities, values, and life events. Financial literacy is essential for healthy communities. We seek out opportunities to teach the building blocks of prosperity and invest in the community through financial education. Life is full of important questions. We build complete financial plans that help you find the right answers as you consider investing, business services, retirement, and cash management. Source: Forbes Magazine (July 2018). Data provided by SHOOKTM Research, LLC. Data as of 03/31/18. SHOOK considered Financial Advisors born in 1980 or later with a minimum 4 years relevant experience, who have: built their own practices and lead their teams; joined teams and are viewed as future leadership; or a combination of both. Ranking algorithm is based on qualitative measures: telephone and in-person interviews, client retention, industry experience, credentials, review of compliance records, firm nominations; and quantitative criteria, such as: assets under management and revenue generated for their firms. Investment performance is not a criterion because client objectives and risk tolerances vary, and advisors rarely have audited performance reports. Rankings are based on the opinions of SHOOK Research, LLC, which does not receive compensation from the advisors or their firms in exchange for placement on a ranking. The rating may not be representative of any one client’s experience and is not indicative of the Financial Advisor’s future performance. Neither Morgan Stanley Smith Barney LLC nor its Financial Advisors or Private Wealth Advisors pays a fee to Forbes or SHOOK Research in exchange for the ranking. For more information see www.SHOOKresearch.com. Born in Chico, Elliott grew up working on the family farm alongside his father and grandfather. He discovered his passion for financial services after starting in the lending industry in 2005. In 2009, Elliott began his financial planning career with J.P. Morgan and in 2014 moved his practice to Morgan Stanley. He specializes in complete financial planning, advising clients on how to save for college, how to generate income in retirement, estate planning and everything in between. 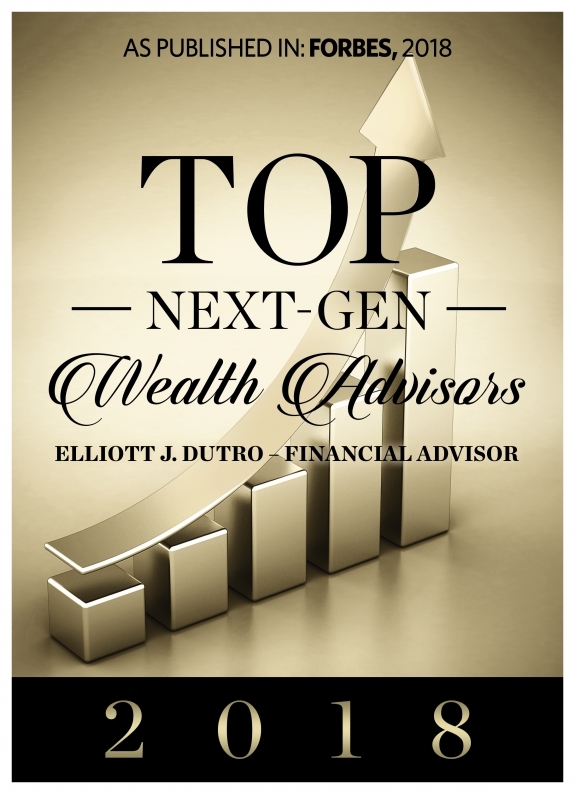 Elliott has a particular talent for making complex financial topics simple and easy to understand. Elliott feels a strong responsibility to his community, volunteering to serve on the 2016/2017 Butte County Grand Jury and actively serves on the governing board of the Boys and Girls Club of the North Valley. He married his wife Jenn in 2010 and together they have 2 children, Scarlet and Oliver. In his spare time, Elliott enjoys fishing, restoring Ford Mustangs, gardening/farming, smoking meats and wine tasting. 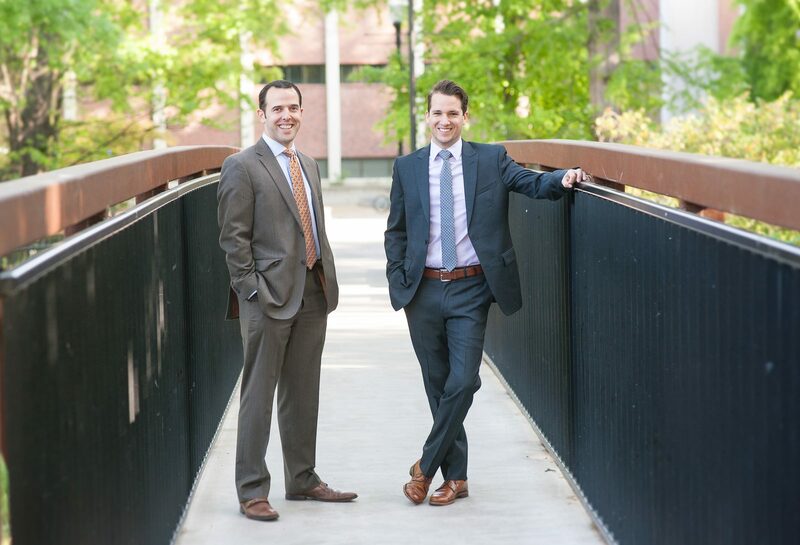 Levi Russell joined Morgan Stanley and partnered with his brother-in-law Elliott Dutro to form the Dutro and Russell Group. 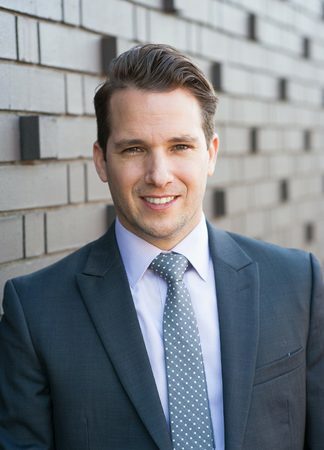 Levi specializes in helping families and individuals develop and implement financial plans that provide confidence during life’s big transitions and unexpected moments. Levi grew up enjoying the outdoors in Alaska, where he taught as a ski instructor and earned a B.A. from the University of Alaska. As a third generation pilot, Levi learned to fly bush planes from his father. 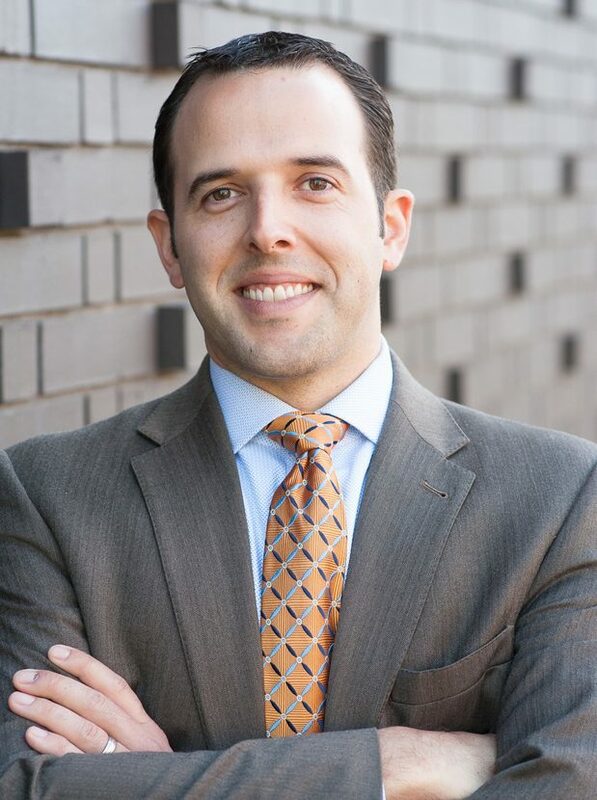 Before his career as a Financial Advisor, Levi spent a decade working in public affairs, specializing in media relations and issue advocacy in roles that spanned from Sacramento to Washington, D.C.
After joining Morgan Stanley as a Financial Advisor, Levi and his wife Laura were thrilled to move closer to family in Laura’s hometown of Chico, with their daughter Afton. Kelly Deher grew up playing in the sun and waves in the small beachside town of Lompoc, California. During a visit to Chico in 2006, she fell in love with the natural beauty and local community, and soon after fell in love with her soon-to-be husband Shaun. Kelly attended Chico State University and graduated with a Bachelor’s degree. 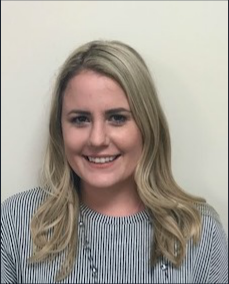 Initially planning to teach mathematics, Kelly’s passion for helping others and crunching numbers ultimately led her to a career with Morgan Stanley. Kelly, Shaun and their dogs regularly go for walks in Bidwell Park and head to the Sacramento River on the weekends. Kelly’s passion for cooking has grown over the years and she can often be found on Saturday mornings strolling through the farmers market in search of local produce for a new recipe! When she is not cooking Kelly enjoys crafting and sewing for special Christmas gift ideas. 11Investors should consider many factors before deciding which 529 plan is appropriate. 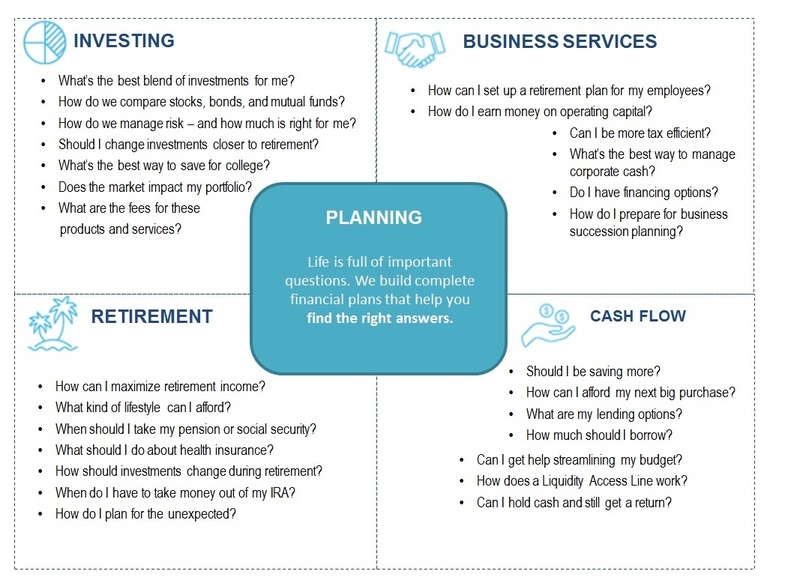 Some of these factors include: the Plan’s investment options and the historical investment performance of these options, the Plan’s flexibility and features, the reputation and expertise of the Plan’s investment manager, Plan contribution limits and the federal and state tax benefits associated with an investment in the Plan. Some states, for example, offer favorable tax treatment and other benefits to their residents only if they invest in the state’s own Qualified Tuition Program. Investors should determine their home state’s tax treatment of 529 plans when considering whether to choose an in-state or out-of-state plan. Investors should consult with their tax or legal advisor before investing in any 529 Plan or contact their state tax division for more information. Morgan Stanley Smith Barney LLC does not provide tax and/or legal advice. Investors should review a Program Disclosure Statement, which contains more information on investment options, risk factors, fees and expenses and possible tax consequences. 12Morgan Stanley Smith Barney LLC is a registered Broker/Dealer, Member SIPC, and not a bank. Where appropriate, Morgan Stanley Smith Barney LLC has entered into arrangements with banks and other third parties to assist in offering certain banking related products and services.